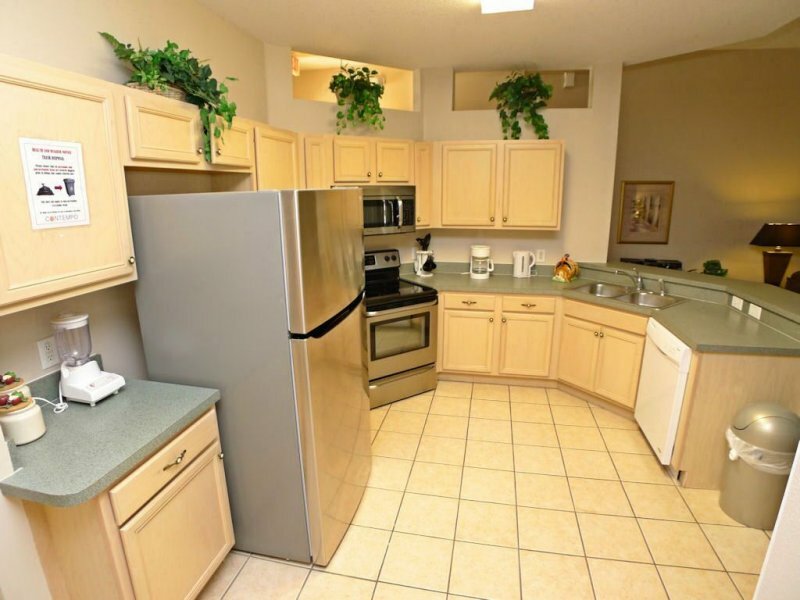 The kitchen is fully equipped with a large fridge/freezer, stove and oven, microwave and dishwasher. 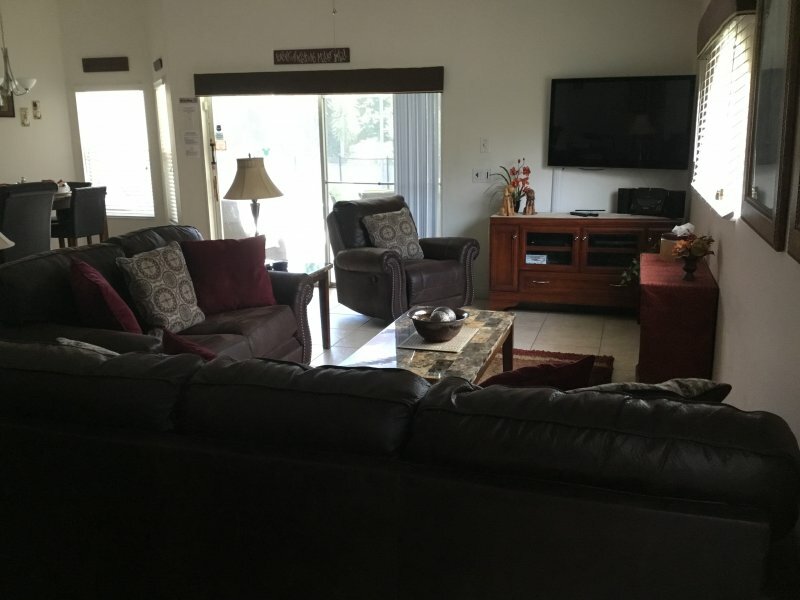 There is a separate dining area, and also, just off the kitchen area there is a laundry room with full sized washer and separate matching dryer. 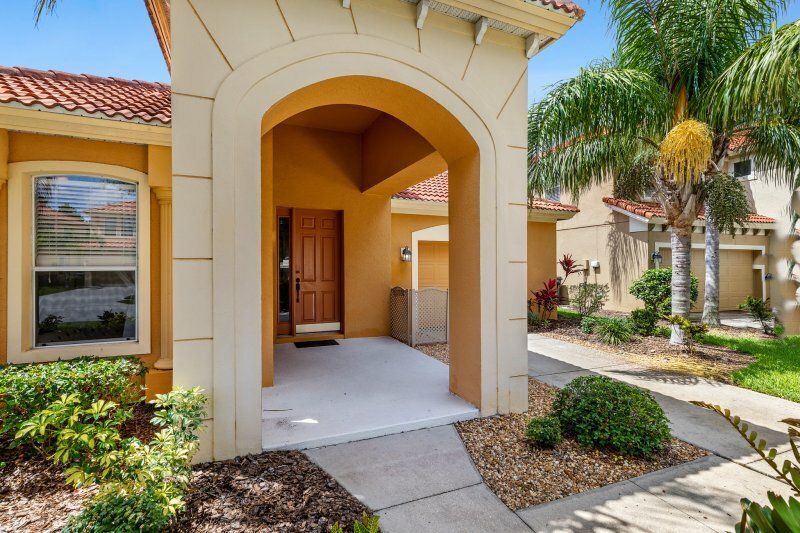 The living room is nicely furnished, and you can sink into the cozy chairs and sofas and enjoy a movie on the large flat screen television. . 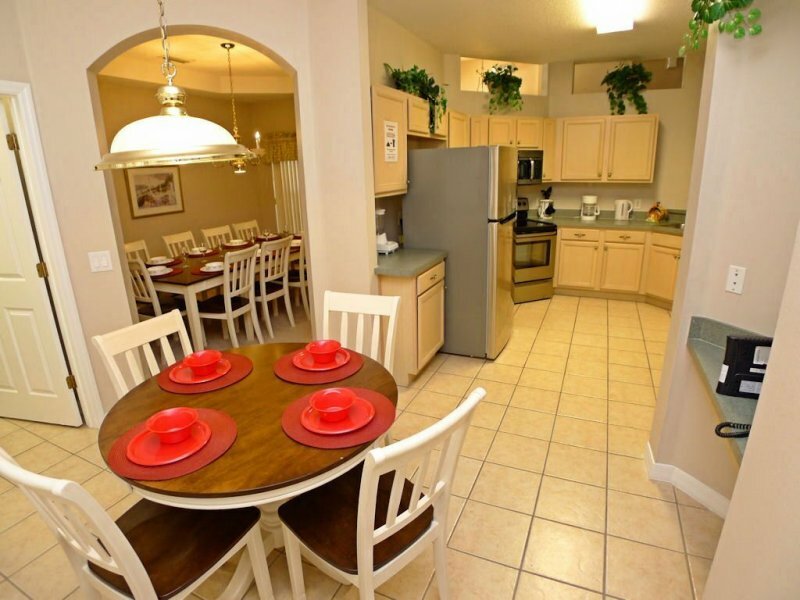 The open floor plan offers a peaceful homely retreat from the parks and bustle of your day. 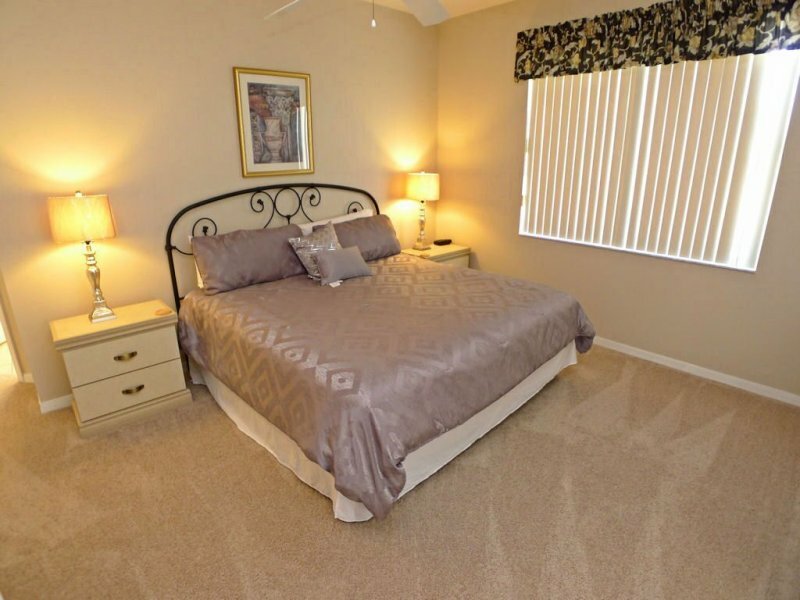 The homes has a king, queen and two sets of twin beds so there is ample sleeping room for the family! 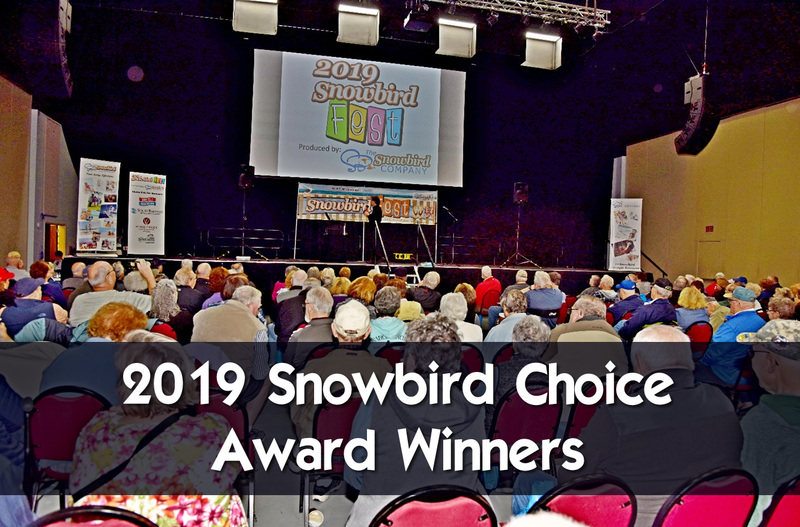 The kids will be sure to enjoy the games room and can stay connected with their friends as we offer free high-speed wireless Internet and free phone calls to almost anywhere in the world. Relax in your own private pool, which may be heated in the winter months, and enjoy the quiet solitude of the deck which overlooks a conservation area. 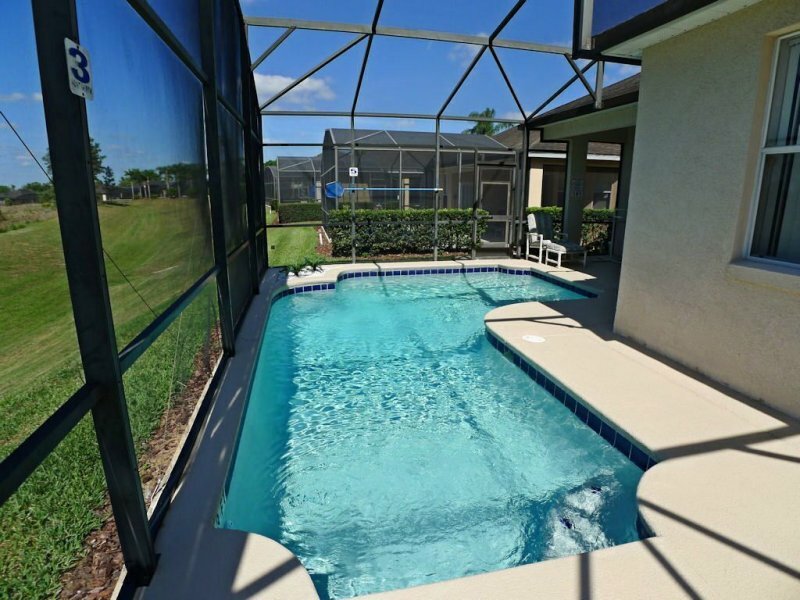 Enjoy watching the kids splash around the highly desired private pool. 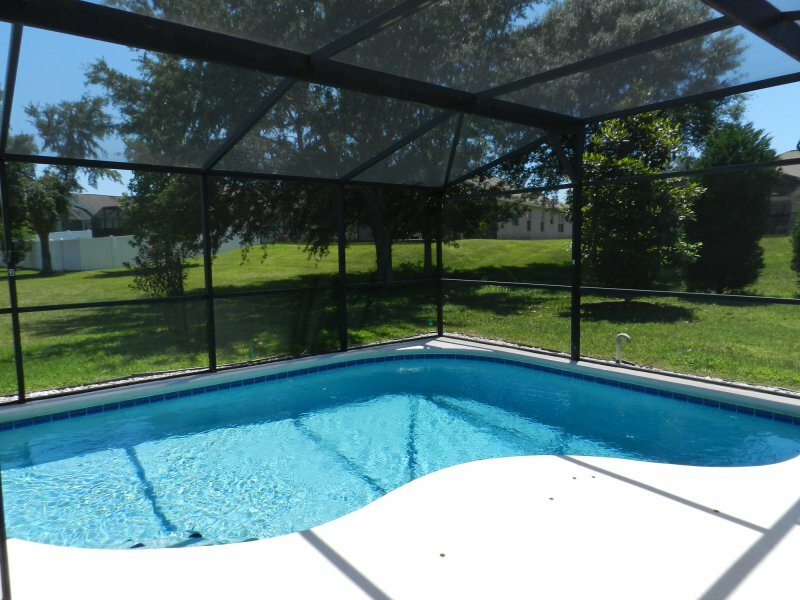 The pool has heating (optional) so that no matter what time of year you visit, you can enjoy a sparkling, warm pool. 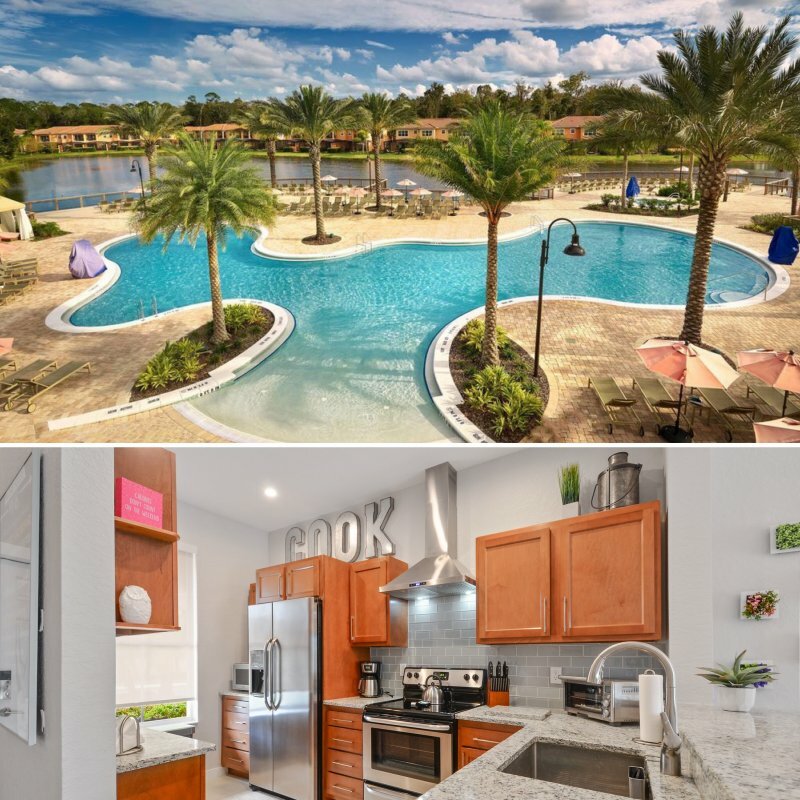 The Community: The prestigious development of Calabay Parc is located on Hwy 27, approximately 5 minutes from Exit 55 of I-4, the main highway from which all the Disney attractions, Sea World, Universal Studios, Islands of Adventure and main shopping, dining and golf is located. 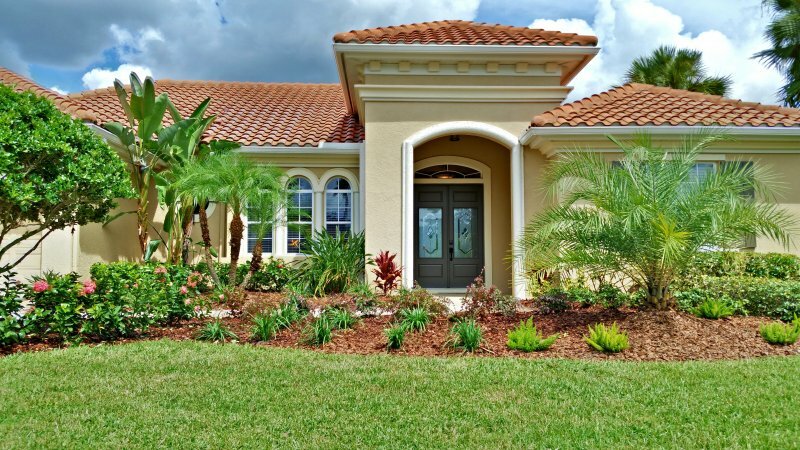 Calabay Parc is an immaculately maintained peaceful community consisting of a variety of executive villas all with private pools and furnished to an exceptionally high standard. 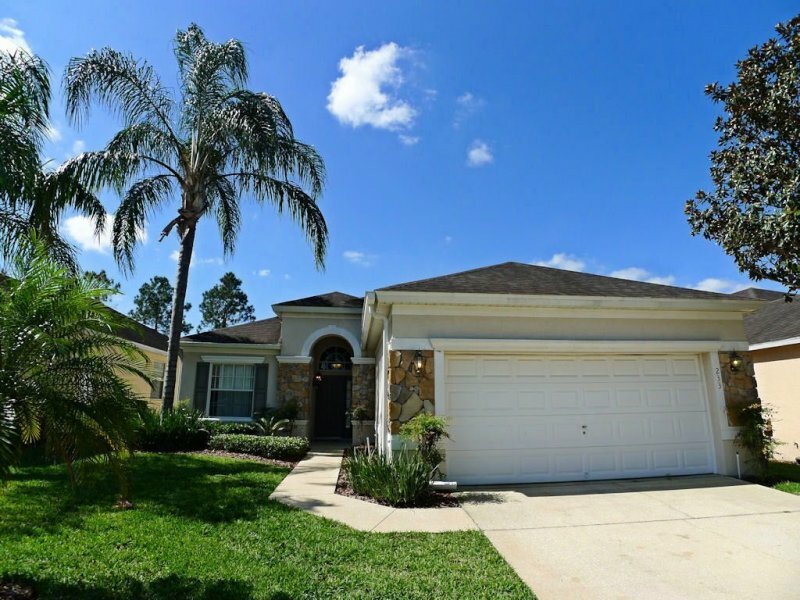 It is one of the most desirable communities for those wishing to vacation around the Disney and Kissimmee/Orlando areas. Drive time to Disney is 10 15 minutes and within 5 minutes you can access several championship golf courses, shopping and dining. 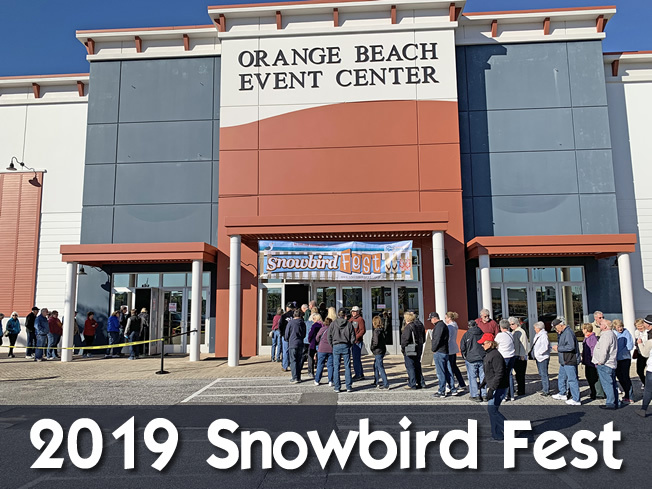 Also nearby is Hwy 192 with a variety of shopping, dining, and entertainment. 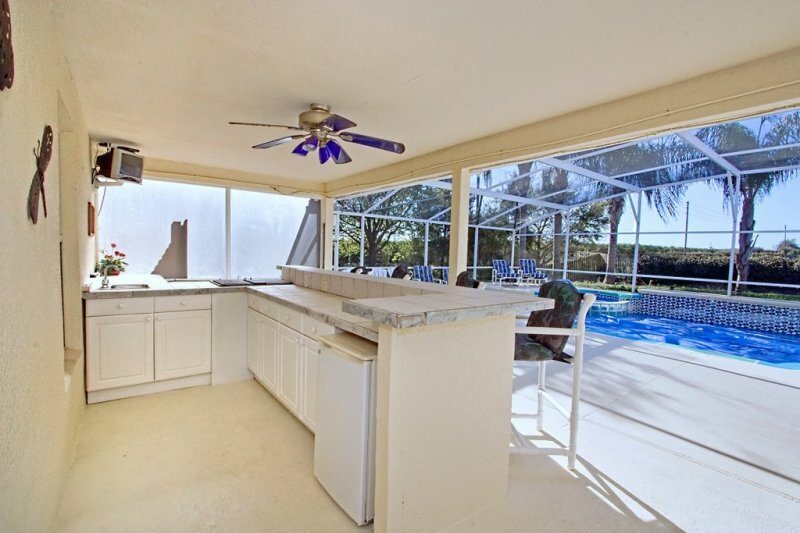 Description The kitchen is fully equipped with a large fridge/freezer, stove and oven, microwave and dishwasher. 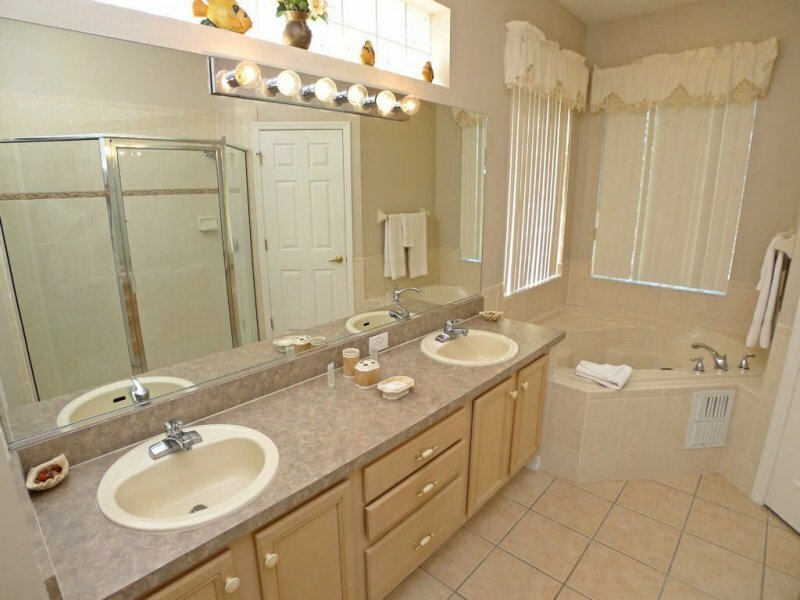 There is a separate dining area, and also, just off the kitchen area there is a laundry room with full sized washer and separate matching dryer. The living room is nicely furnished, and you can sink into the cozy chairs and sofas and enjoy a movie on the large flat screen television. . 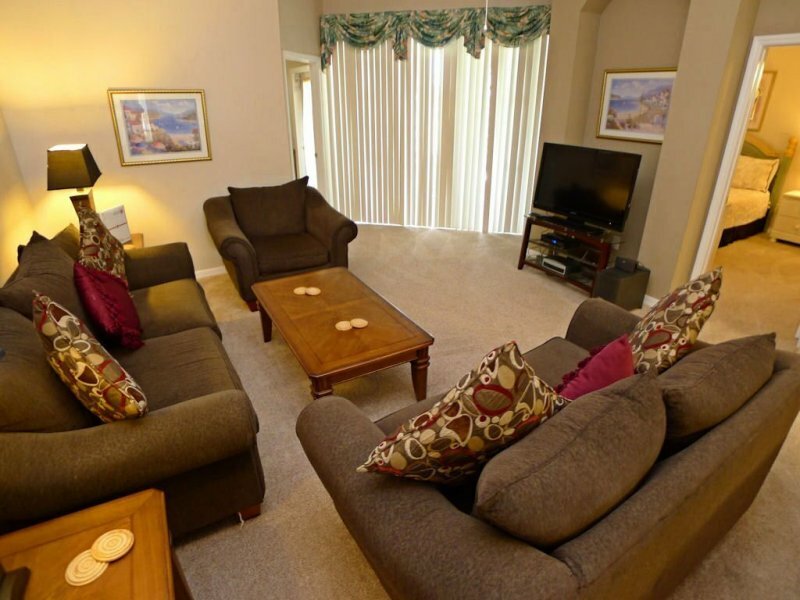 The open floor plan offers a peaceful homely retreat from the parks and bustle of your day. 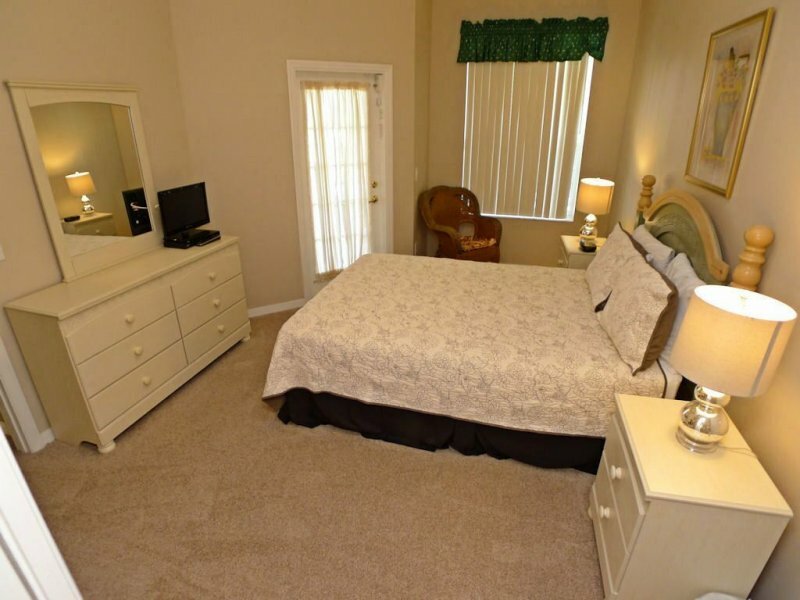 The homes has a king, queen and two sets of twin beds so there is ample sleeping room for the family! 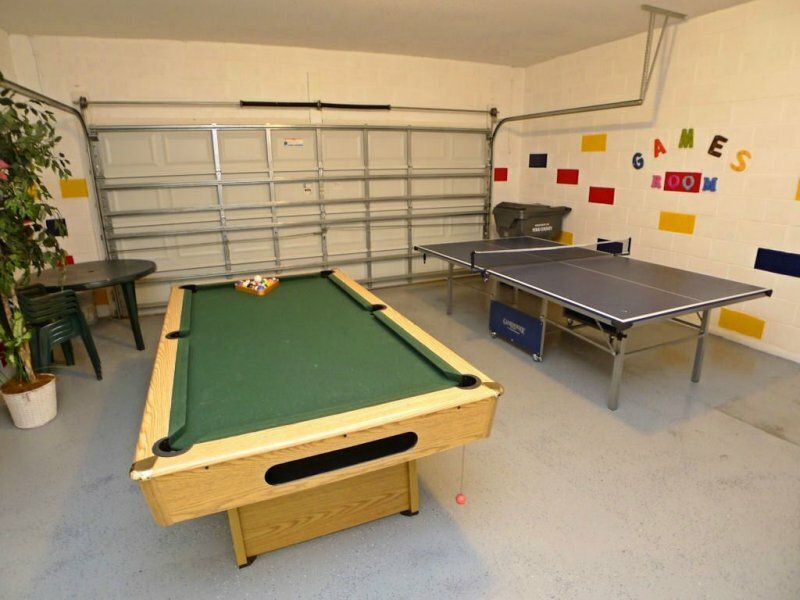 The kids will be sure to enjoy the games room and can stay connected with their friends as we offer free high-speed wireless Internet and free phone calls to almost anywhere in the world. Relax in your own private pool, which may be heated in the winter months, and enjoy the quiet solitude of the deck which overlooks a conservation area. 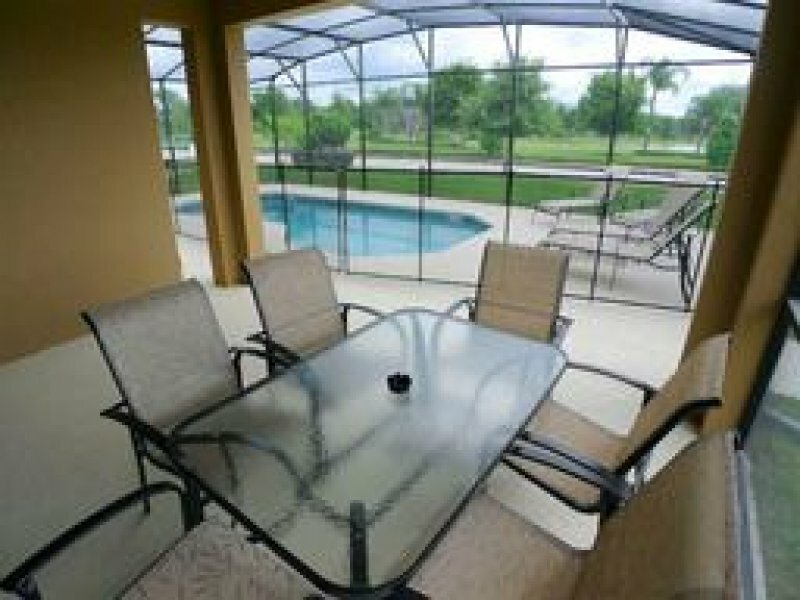 Enjoy watching the kids splash around the highly desired private pool. 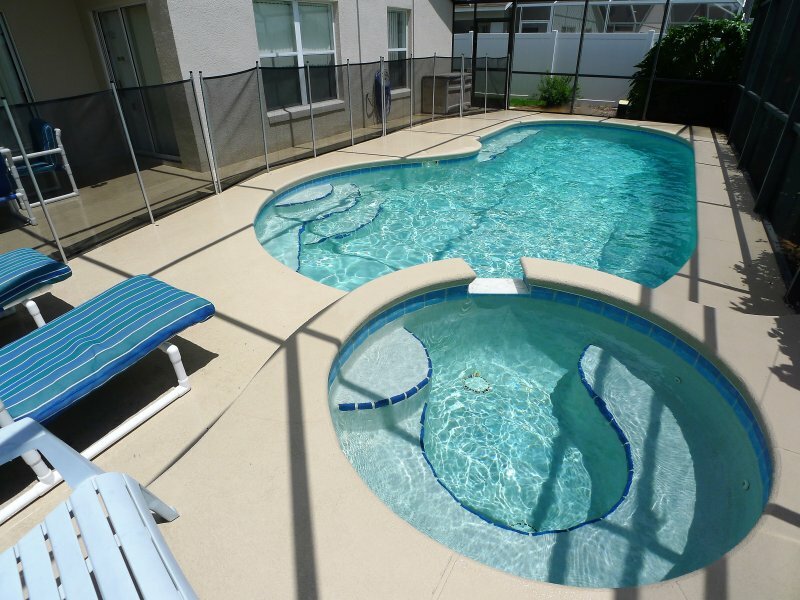 The pool has heating (optional) so that no matter what time of year you visit, you can enjoy a sparkling, warm pool. 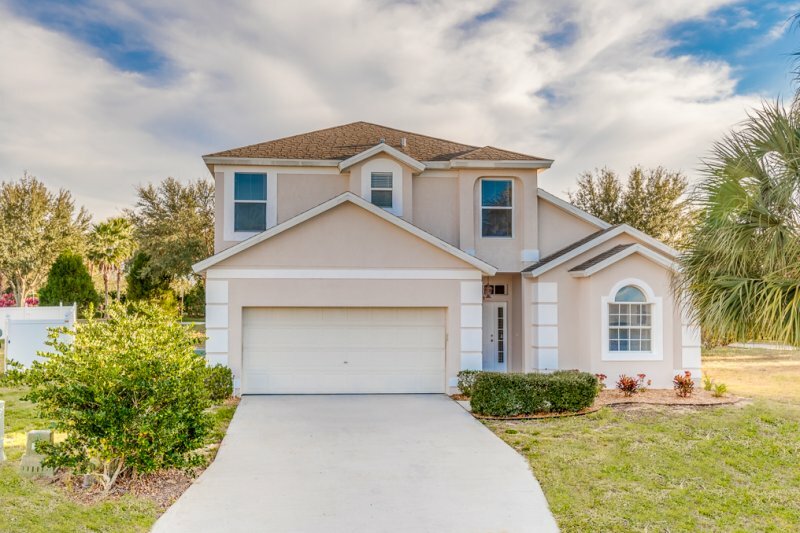 The Community: The prestigious development of Calabay Parc is located on Hwy 27, approximately 5 minutes from Exit 55 of I-4, the main highway from which all the Disney attractions, Sea World, Universal Studios, Islands of Adventure and main shopping, dining and golf is located. 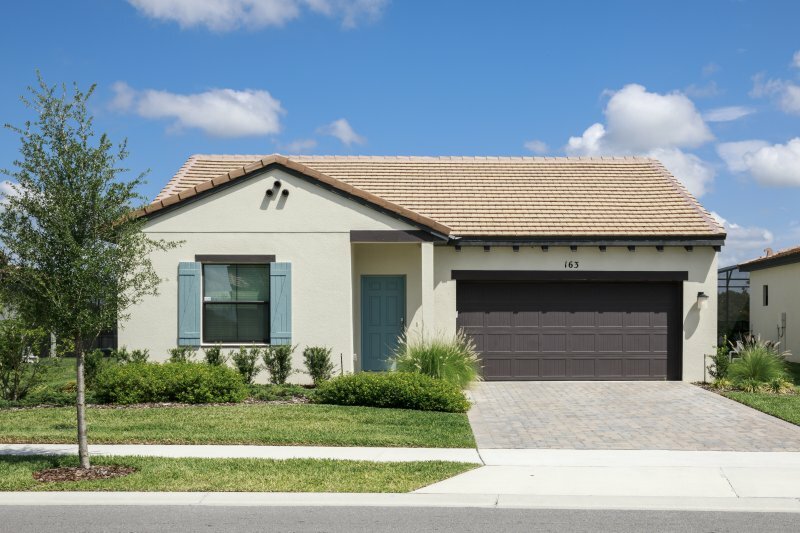 Calabay Parc is an immaculately maintained peaceful community consisting of a variety of executive villas all with private pools and furnished to an exceptionally high standard. 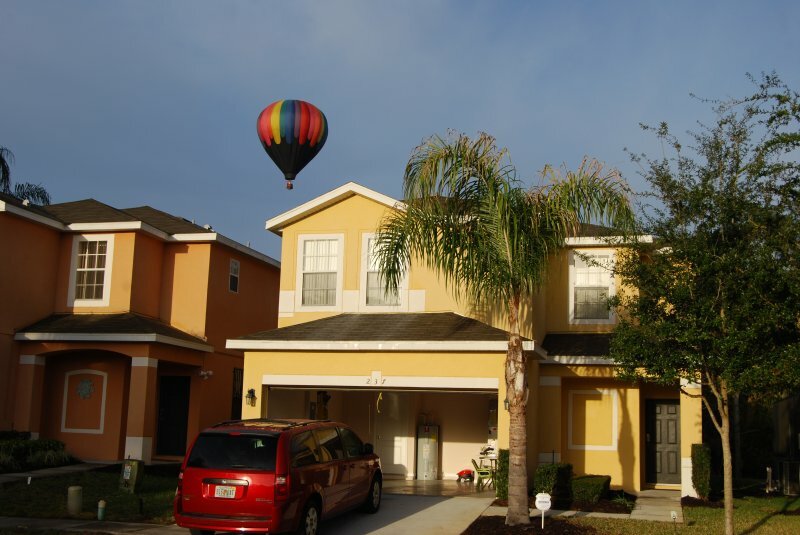 It is one of the most desirable communities for those wishing to vacation around the Disney and Kissimmee/Orlando areas. Drive time to Disney is 10 15 minutes and within 5 minutes you can access several championship golf courses, shopping and dining. 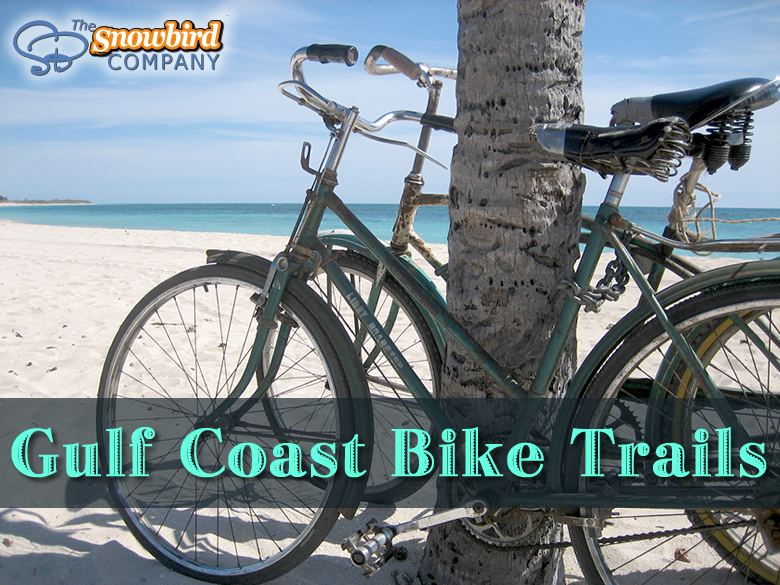 Also nearby is Hwy 192 with a variety of shopping, dining, and entertainment.